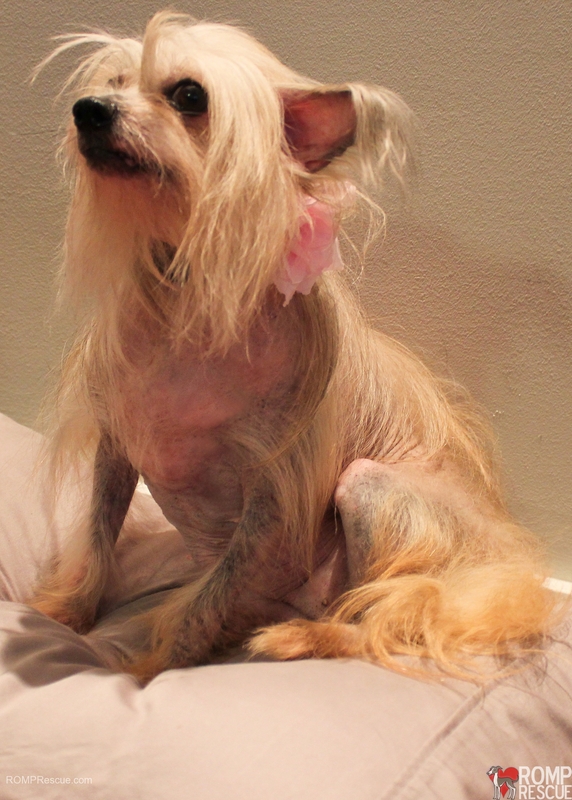 Taffy is a medium hairy hairless Chinese Crested who was surrendered to a shelter when her owners could no longer care for her. We estimate her to be about 3 years old. 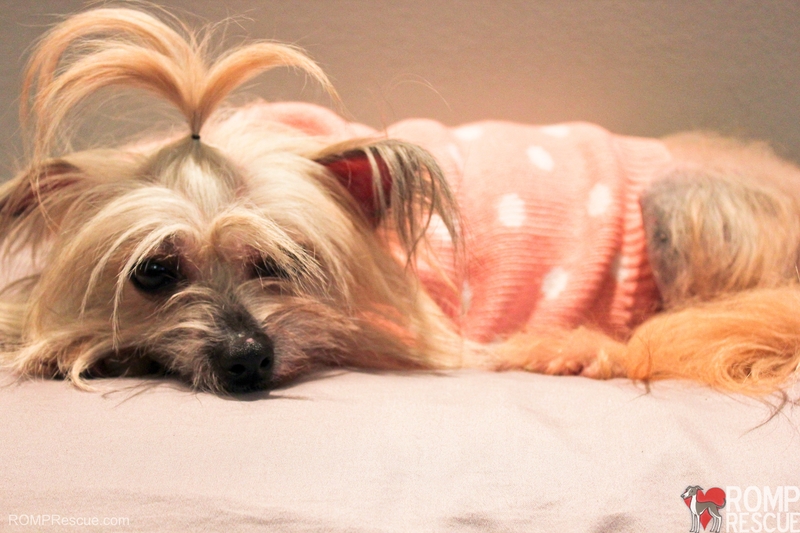 She has an extremely sweet personality and just wants to love her human and be loved by that person. 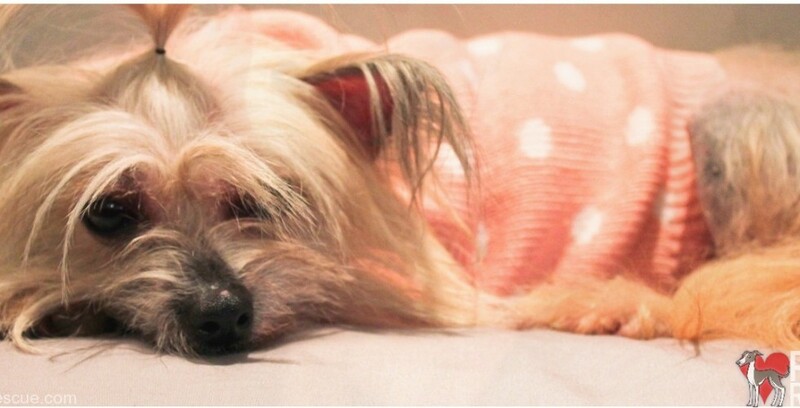 She enjoys the company of other dogs so she would do well in a home with another dog but she would do just as well as an only dog relishing all of her family’s attention. Taffy gets SO excited when it’s treat time! She is sure to entertain you every day. 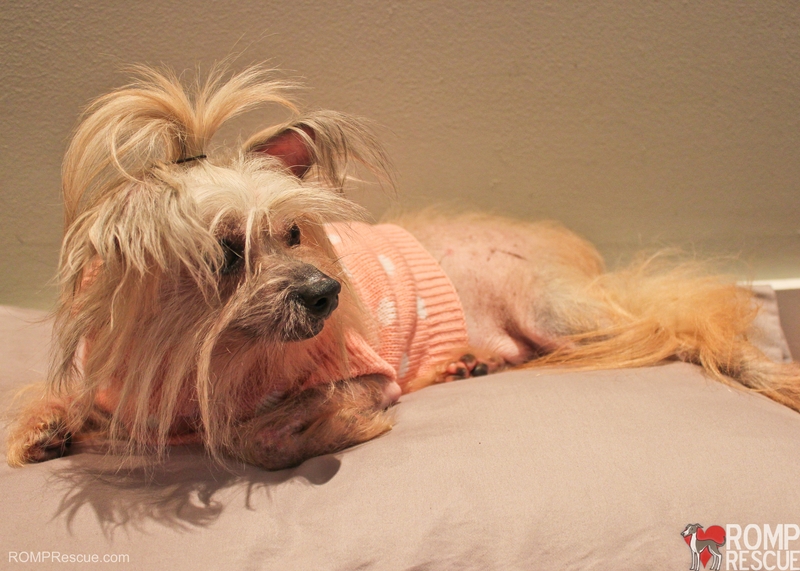 Taffy’s skin was neglected so her new family will need to continue to give her baths and regular grooming to bring her into condition. She also has loose patellae (knee caps). This is a common condition in toy dogs, unfortunately. Some dogs require corrective surgery at some point in their lifetime while others can go their whole life without surgery. For now, Taffy moves freely and is in no discomfort. Hopefully, with proper exercise and diet she can avoid ever requiring surgery. Taffy does well using potty pads and could be transitioned to outdoor pottying. 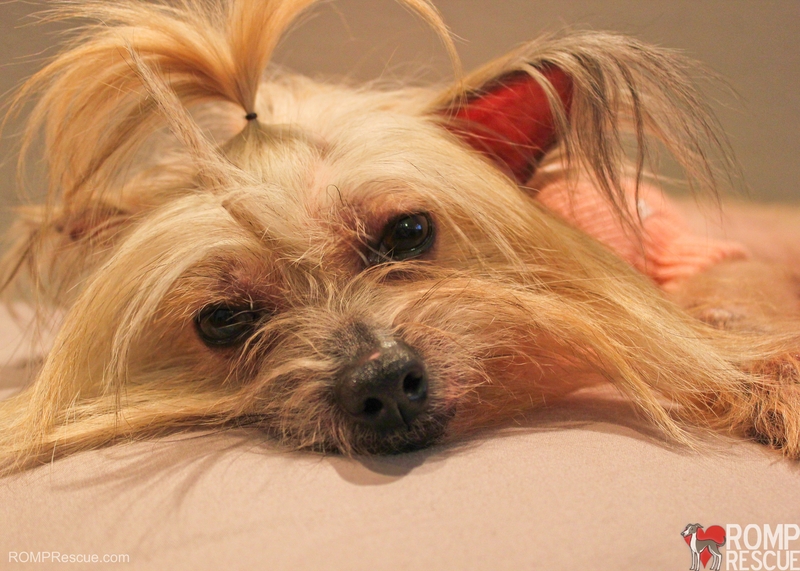 This entry was posted in Adoptable Dogs, ALL and tagged adopt, adoptable, adoption, chicago, chicago chinese crested, chicago chinese crested rescue, chinese, chinese crested dog, chinese crested rescue, crested, hairless, hairy chinese crested, hairy hairless chinese crested, rescue, taffy, Taffy - Chicago Chinese Crested. Bookmark the permalink.